It's finally here! 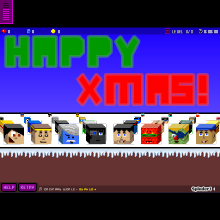 Enjoy my super cool christmas game! Credit goes to "GreatzGames", "StarWarsFan316", "GameCommentaries" and "ExtremeGame" for graphics.